"It's all about heritage. 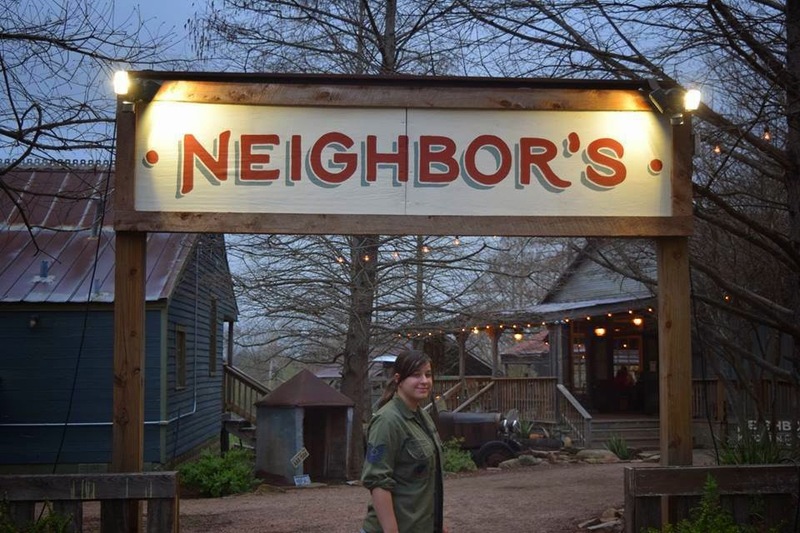 My wife and I decided we didn't want to live or even work somewhere that didn't have a heritage,” says Chris Allcorn, the co-owner of Neighbor's Kitchen and Yard. 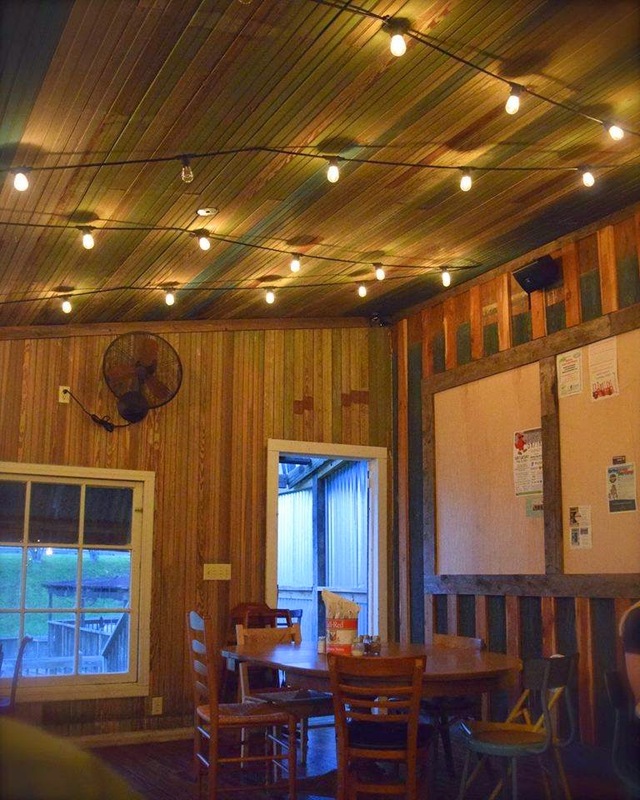 The restaurant is slightly tucked off of Main Street in Bastrop with a back patio terracing the river. Chris pulls up a chair. We ask him about how he got into the pizza business. He smiles, shares a little bit of their story, and tells us that he and his wife just kind of stumbled into it but are incredibly happy to find themselves where they are. Growing up in this little town and loving it like we do, it’s amazing to hear someone who values Bastrop, not just as a financial opportunity, but because of its story and rich history. He talks about the building and how much trouble they went to "un-renovating" it, even tearing down the sheetrock to reveal the antique beaded ceiling. The restaurant is far from slow, but he still takes a good bit of his time to go through the menu, selecting the perfect choices for us. Cherie chooses a soda, and I adventurously go for his suggestion of a drink named "The Skinny Dipper" which he promised to make himself so it would be "just right." To say we are blown away by the customer service is an understatement! We follow his suggestions and get the Texas bruschetta as an appetizer and a pizza charmingly named "The Grease Bucket." He leaves to go put our order in and we soak in the brilliant atmosphere. I am in love with the Italian string lighting and the folksy background music. The perfect view of the river walk doesn't hurt either. After just a bit, my drink arrives. 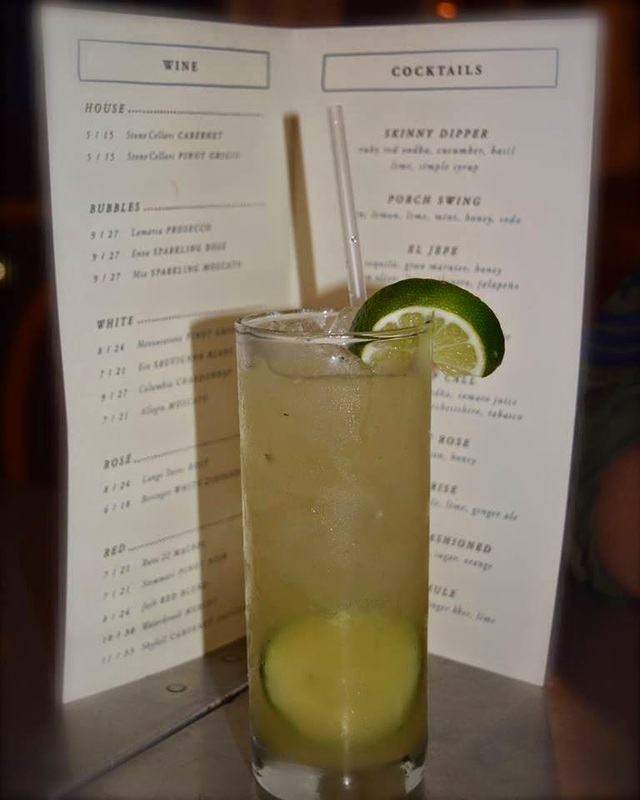 I am hit by a myriad of flavors—fresh cucumber and lime mingled with a bright basil note. It’s love at first sip and feels like the freshest margarita of my life. The appetizer comes next. "I pulled an audible," Chris announces. 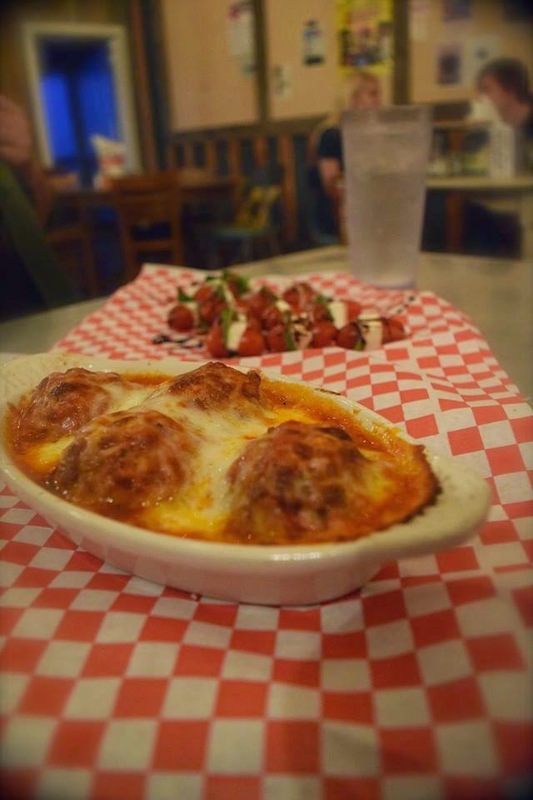 He places in front of us, not the Texas bruschetta, but the beautifully plated caprese skewers and a bubbling plate of cheese-blanketed meatballs. He leaves us to start on what I really have to say are the best appetizers I have had the privilege to put in my mouth. The meatballs, a combination of veal, beef, and pork, are phenomenally tender and flavorful. I could not love them more. 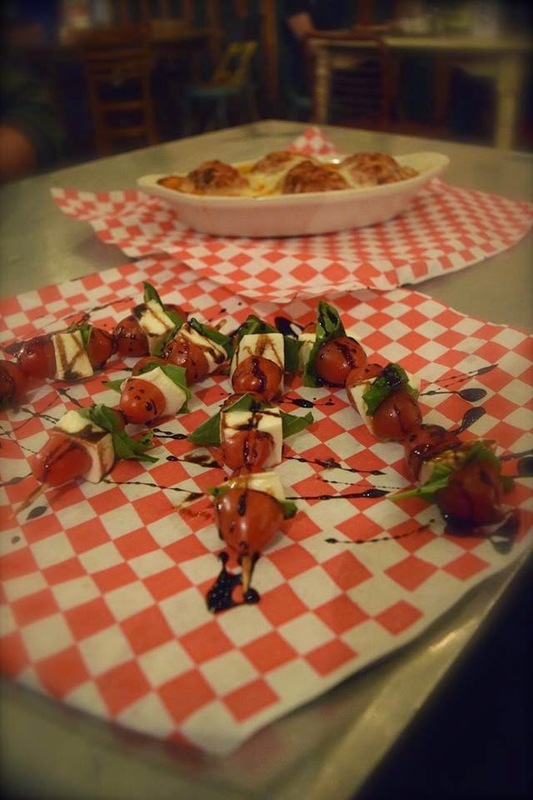 The caprese skewers are magic itself—sweet cherry tomatoes and fresh basil with heavenly buffalo mozzarella, drizzled in a house-made balsamic vinaigrette. 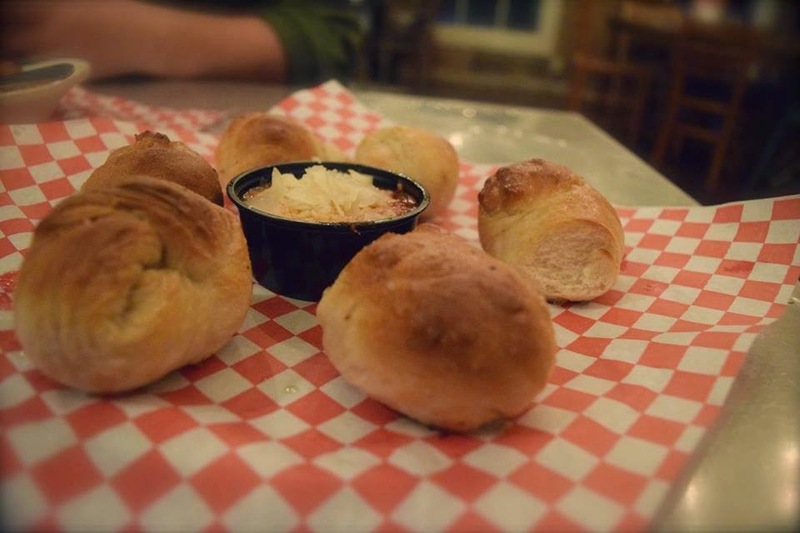 After we take a few bites, he returns with another plate of garlic knots—beautiful little rolls of honey sweet garlic Parmesan savoriness, served with warm marinara sauce and topped with more slivered Parmesan. I melt into the food and decide if I could, I would live in this moment for the rest of my life. 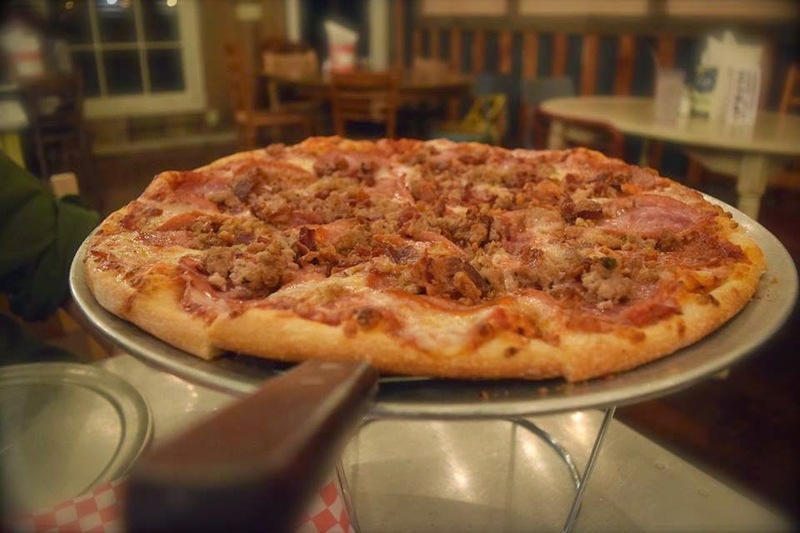 I change my mind when the pizza comes, because for once in my life, something actually has enough bacon, heaping with fresh and tasteful meats and cheese on a perfectly baked New York style crust. This is the pizza of our lives! We gush to Chris about how amazing it all is and he brings out the makers of our feast, the kitchen staff. They are so friendly and excited about what they do. They use words like “passion” and “commitment to quality.” We could not be more impressed. The servers are equally amazing, popping in to make sure our every wish is granted. Before we are done with the pizza, out comes my next adventure, a drink called Poncho and Lefty. 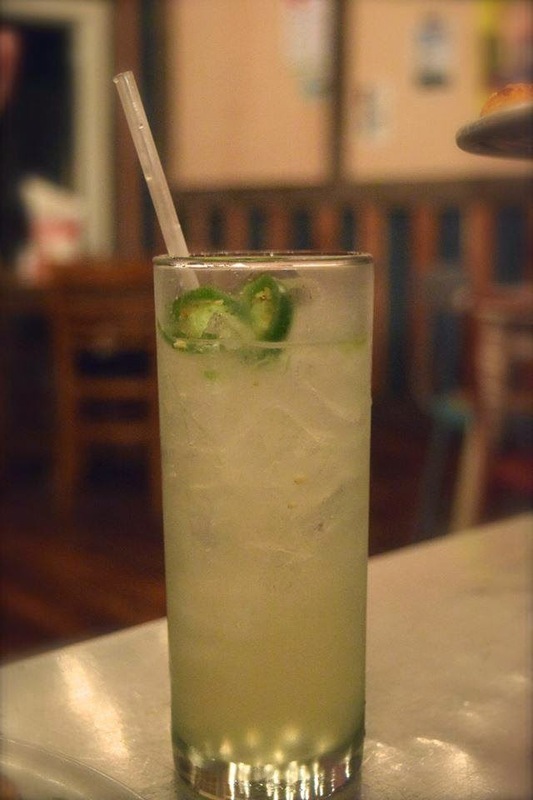 It’s a spicy jalapeño mescal concoction that bites you with a smoky heat and then sweet talks you with end notes of sugary lime that put out the fire and entices you into another sip. Words cannot describe the magic and brilliance of the entire evening, from the unbelievable service to the achingly good food, the warmth of the atmosphere to some of the most creative and delightful drinks I've ever had. The evening couldn't have been more perfect! In our lives, there are moments that remind us of why life is beautiful, why food isn't a tool of survival but an art, and that people really can still surprise you with their generosity and creativity. Inside us all burns a spark of brilliance, and some people have the courage to let it catch flame into something altogether awesome and inspiring, like the folks at Neighbor's. And sometimes, if you're lucky, you get to see and taste all of that at once. This was one of those moments, and we are so honored and blessed to be given the gift of this experience. As Chris said, "It's all about heritage," and he and his team are making one amazing piece of it at Neighbor's. Rating: 5 out of 5 forks and my only sorrow is that I don't have more forks to give! *FYI, they are also a live music venue, bringing musical acts every weekend on their delightful back porch which overlooks the Colorado River! 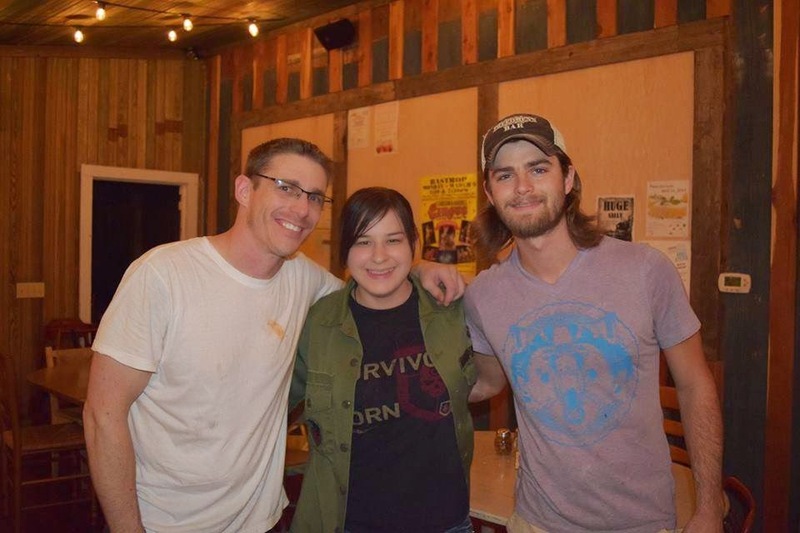 Check out their music schedule here or visit them on Facebook here.